2014….could be a year to go down in history. 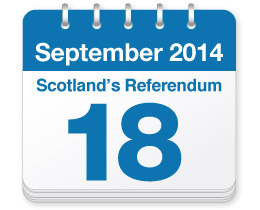 With the forthcoming Referendum scheduled for 18th September 2014, this could be an momentous date in Scotland’s future…. So what does it mean for childcare and respective training? In the SNP’s White Paper on an Independent Scotland, it is noted that they propose to transform the early years learning and childcare provision. Their line of thought being that independence will give Scotland the opportunity to invest more in the supply of services, rather than subsidising demand. With their Twitter slogan being #bestplacetogrowup the SNP claim they can make childcare more affordable for all. The Scottish Government’s plans to change childcare are already moving ahead with the launch of 600 hours free childcare for 3 and 4 year olds and around half of 2 year olds from August 2014. As a member of a working party in one of the local authority implementation groups for the 600 hours model, this brings with it a number of key considerations which it would appear are evident across all local authorities with capacity of staff to deliver these additional services, as well as limited physical space within existing nurseries to meet demand all posing challenges. This said, a great move for families and also for childcare providers. In addition, the Scottish Government plan to deliver 1140 hours of free childcare by the end of their first term for all three and four year olds, as well as vulnerable two year olds – no mean feat, particularly considering the above points. It should be noted that to deliver such high levels of free childcare provision, there will be a real shortage of childcare settings and skilled staff – so we need to plan for this today! The Scottish Government believe Scotland would have further financial benefits of successful employment initiatives by having an Independent Scotland – such as Modern Apprenticeships and other training programmes – as we would be able to retain these benefits in Scotland and will be able to re-invest them in our people. A search on ‘Better Together’ and ‘Early Years’ or ‘Modern Apprentices’ does not bring forward specific information, as is easily found in the SNP ‘White Paper’ and hence it appears that information from the ‘Better Together’ campaign is less accessible. The message from ‘Better Together’, however is clear, they believe that Devolution works and that a Scottish Parliament as part of the wider UK Government is already a success backed by the strength of the UK economy. More food for thought. The current Scottish Parliament has devolved powers and the ‘Better Together’ campaign sets reminders that we already decide what is best for our universities, our NHS to name a few. One thing is for sure, childcare costs remain a hot topic – however childcare costs are also high for providers of the care and in the reading so far, there is no consideration for any Government to actually meet that cost….so this is where we need to be thinking out of the box for businesses who deliver childcare – can something be done to reduce or exempt business rates, should Government funding for childcare be devolved to local authorities or should a voucher scheme be implemented…..so many questions…. As for our team at The Childcare Management Company – we are a split camp….however we look forward hearing the politicians debating this evening and maybe by tomorrow we can say with vigour ‘Yes’ or ‘No’.